The All-In Plan 1800 is a fully-consumable plan that may be used to register for Flexibundles such as Unlimited LTE connection, 3,500 SMS messages and 80 call minutes to all networks every month. A separate monthly cash-out of P199 for the device comes with the 24-month contract. “Smart is proud to be the first telco in the Philippines to make available the latest and most advanced Android ‘phablet’ in the world,” said Smart Postpaid Marketing Head Kathy Carag. “The Samsung Galaxy Note 3 is a welcome addition to our already impressive line-up of Android devices,” she added. The handset also comes free under the Smart Unlimited Data Plan 2000 with a 30-month lock-in period. This comes with unlimited LTE connection, as well as 200 SMS messages and 150 call minutes to all networks. The latest evolution of the Galaxy Note line, which fuses together features of a smartphone and a tablet, was officially unveiled by Samsung early this month in Berlin, Germany to an enthralled audience. The Samsung Galaxy Note 3, which comes in jet black, classic white and blush pink color options, boasts of a slimmer design, longer battery life and faster performance. The handset has a 5.7-inch full HD screen and 13-megapixel camera, and 3GB of RAM, among others. It also runs the latest Android 4.3 Jelly Bean operating system and makes use of a 3,200mAh battery. 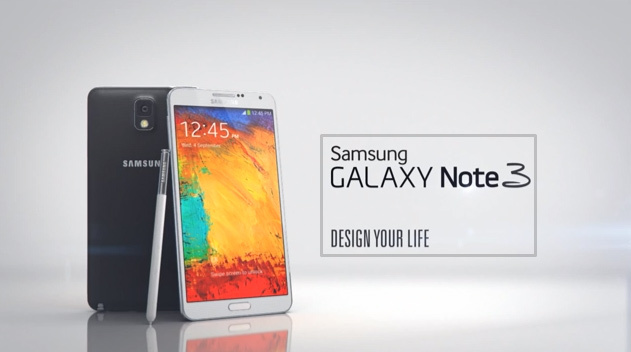 The Samsung Galaxy Note 3 earned raved reviews for advancing its multitasking features, such as the Air Command, which directs users to the Action Memo, Screen Write, S-Finder, Scrapbook and Pen Window features. With the new device, you may also navigate the handset with simple dot, circle and box motions. You may also run two instances of the same app and share content between them conveniently. Moreover, the Galaxy Note 3 may be paired with the Samsung Galaxy Gear smart watch, which allows voice calls, runs apps and receives notifications, among others. “The device has indeed revolutionized note-taking,” said Carag. “With the new features, using the S-Pen stylus to share content, edit photos and write memos has become easier,” she added. Smart pioneered the use of 4th generation (4G) Long Term Evolution (LTE) in the country, which enables users to surf at blazing speeds that can reach up to 42Mbps. Smart also offers the widest LTE coverage with over 1,000 sites, across almost 180 cities and municipalities all over the country. Smart LTE also covers all 17 cities and municipalities that make up Metro Manila. For more information on Smart’s other postpaid offers, visit smart.com.ph/galaxynote3 or go to the Smart Store nearest you. Disclaimer: I work for Samsung R&D. Dragon Nest SEA: Face The Wrath Of The Desert Dragon!